Wild & Wolf is widely famed for its colourful, vintage designs. 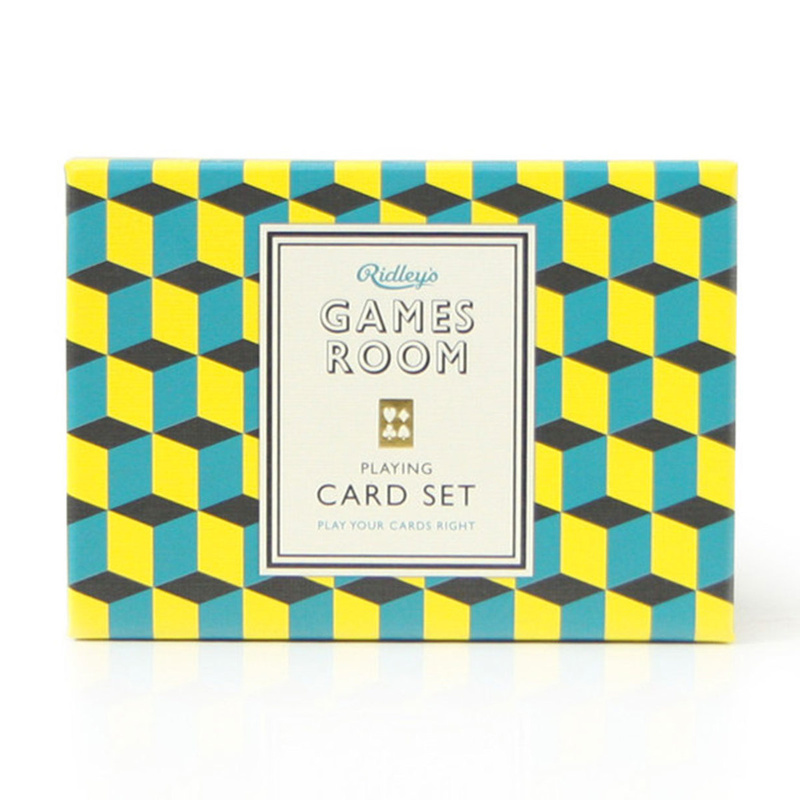 This box set includes 2 packs of playing cards in two different colours. Perfect for a game with your friends on a cold winter night, or with yourself to kill some time. The vintage, delightfully retro design of these playing cards will make you love them as much for their looks as for their function. The box includes 2 packs, each comprising 40 cards. Professional quality is ensured, in order for you to enjoy every game until its last minute. The box and both packs are decorated with a retro geometric pattern that will charm your guests - even the most sophisticated ones. If you have always wanted to entertain Great Gatsby style, now you can! Show off these designer playing cards and you'll be sure to guarantee a fun, super chic night to all your guests. 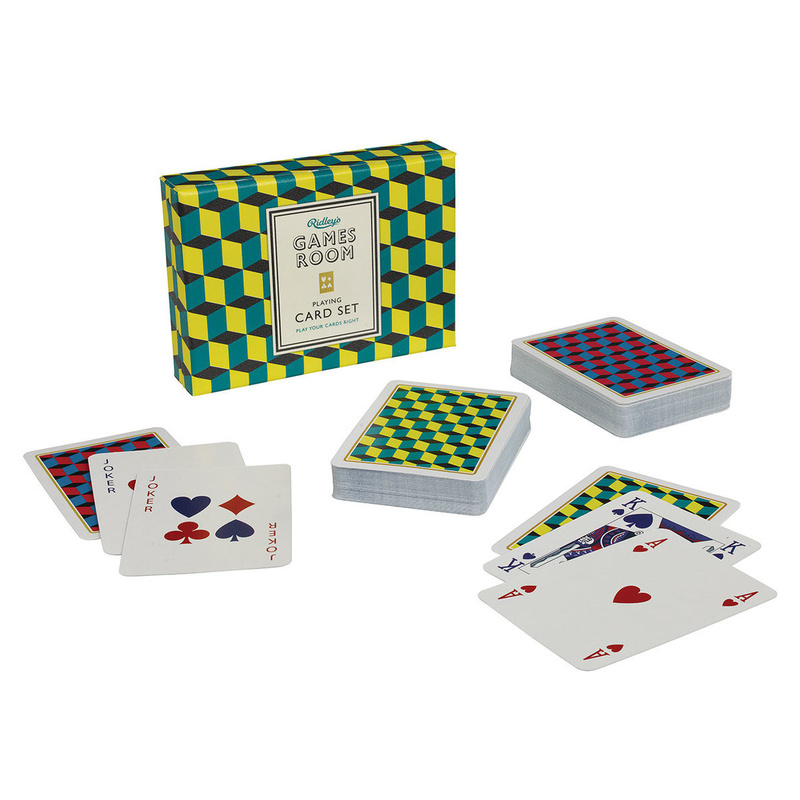 Playing cards are made of paper and boast a minimalist design on their front. They are perfect as an unusual gift idea for adults and youths alike. Everyone will love them! On sale online on LOVEThESIGN you can also find other board games for your parties and entertainment. Check them out now! Here at Wild & Wolf, a British brand with ten years of experience, they truly believe that also the most common objects must have a unique look. For Wild & Wolf it's design what makes the difference. 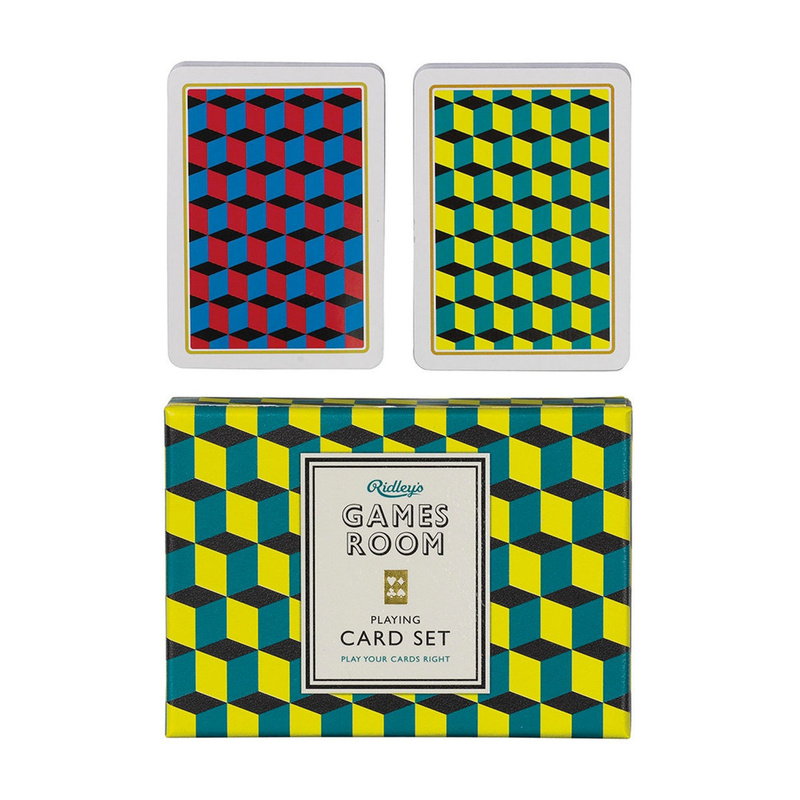 This ideal gives life to the colourful and hypnotic patterns used by the British brand for the packaging of the most famous international board games.